The fourth major installment of the cult series of survival horrors created by Capcom. In the game the player assumes the role of ex-cop Leon S. Kennedy, a character well known from the second entry in the franchise. 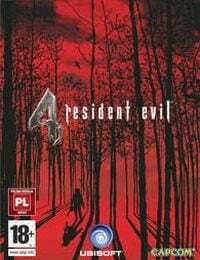 Resident Evil 4 is a survival horror that belongs to the famous Resident Evil franchise, different installments of which appeared on many consoles, including Sony Playstation, Nintendo 64, Sega Dreamcast, Sony Playstation 2, and Nintendo GameCube, as well as personal computers. Resident Evil 4 lets you play as a brave and handsome Leon S. Kennedy, whose abilities (not as developed then) we tested in Resident Evil 2. A rookie cop at that time, now an experienced special agent – this is what Leon has become after several years between the two games. This time his job is to liberate the president’s daughter from the hands of unknown kidnappers living in a mysterious village in Europe. You will encounter many opponents, spearheaded by villagers infected with a strange virus. Apart from them, there are also many tough bosses, whose sizes or unique abilities may make your blood run cold, not to mention the incredible fight in the middle of a murky lake, in which a huge monster is trying to swallow the hero with a single clap of jaws. The game has great level design, from common houses through to massive churches and caves. As compared to the previous Resident Evil games, gameplay went through serious changes. Its slow tempo was replaced with highly dynamic mechanics with spectacular combat and you can now freely move between locations. Situations in which you shoot down several opponents, smash a window to get inside an abandoned house, then barricade the door and climb up to the roof only to fight some more enemies, are quite common. Capcom implemented Quick Time Events in some specific actions, such as jumping through the window or dodging a charging opponent (similar solution was used in Shenmue – a hit title released on Sega Dreamcast console). There are also some puzzles that test the player’s logical thinking.